Juventus and Milan will contest the Supercoppa Italiana on Wednesday 16 January as both teams travel to Jeddah, Saudi Arabia for the final. 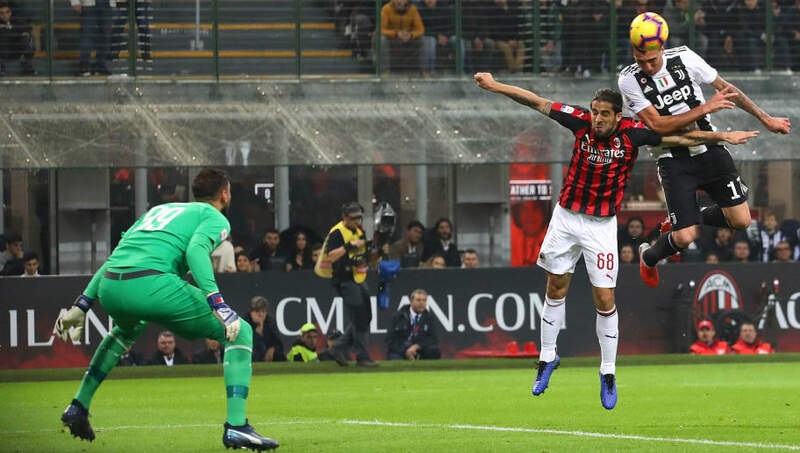 The Supercoppa Italiana matches up the Serie A and Coppa Italia winners in a game, however as Juventus dominated Italian football once again winning both competitions last season, Milan qualify for the final as runners up of the Coppa Italia last season. ​​Juventus and Milan share success in the competition, both teams have won the cup on seven occasions. The last time both teams met in this competition, Milan came out on top with a 4-3 penalty shootout win in Doha, Qatar. This will be Juventus' seventh consecutive year in the final. ​Going by recent league form ​Juventus will be firm favourites to win the trophy. They remain undefeated in the league and have already triumphed over Wednesday evenings opponents. Goals from Mario Mandzukic and ​Cristiano Ronaldo gave the table toppers a 2-0 win at the San Siro last November. ​​Milan head into the game on the back of reasonable form, suffering just one defeat in their last five. Patrick Cutrone's extra time double gave Milan a 2-0 win over Sampdoria in the Coppa Italia on Saturday. ​Mario Mandzukic is a doubt for the game after picking up a thigh injury during a training session. Juve will also be without long term absentees Juan Cuadrado and Andrea Barzagli, though Joao Cancelo could be in line for a return to action. Juventus made many changes for their Coppa Italia tie against Bologna and will be expected to make further changes ahead of the final. Suso will be suspended for the Rossoneri following a red card against SPAL. Despite the speculation linking the Argentine with a move away from Milan, ​Gonzalo Higuain has travelled with the squad to Jeddah. ​Juventus ​Szczesny; De Sciglio, Bonucci, Chiellini, Sandro; Pjanic, Bentancur, Can; Dybala, Costa, Ronaldo. ​Milan ​Reina; Abate, Romangnoli, Zapata, Rodriguez; Kessie, Bakayoko, Paqueta; Castillejo, Calhanoglu, Cutrone. ​​Juventus have the upper hand on the Milan in recent seasons. Milan have failed to beat Juventus in their past six meetings, conceding 15 times and only scoring three. The teams last appearance in a final together came in the Coppa Italia final in May 2018, Juventus beat Milan 4-0 to achieve the Italian league and cup double. ​While Milan’s recent form against Juve has been poor, they have only managed two defeats in their past nine games in all competitions. Juventus have only lost two games all season, both of them during the UEFA Champions League group stages. ​Here is how each team has performed in their last five fixtures. ​Recent form would indicate a tight match for both sides with neither conceding nor scoring many goals. A win for Milan could give them a lift while Juventus will want to continue their dominance in Italian cup competitions. Cup finals can also go either way on the day, and a good old fashioned Italian cup final is to be expected on Wednesday evening. A win will be historic for either side as they both fight for that eighth Supercoppa Italiana title.